We're big pet fans here at Home to Indy. We have agents who love horses - others who have cats and still more who own dogs (or do their dogs own them?). Regardless, we understand how important pets are to your family. For those of you with pups who have just moved to a new location, you'll need to know where to get him/her groomed, where you can go to play, and daycares available (just in case you need it). We want your pooch to feel loved and cared for. Annual "Pooch Passes" are based on the calendar year (January-December). Passes include a tag for your dog, and a gate access device for you. Please note: separate Pooch Passes are required for each bark park. An annual Dog Tag is $75. 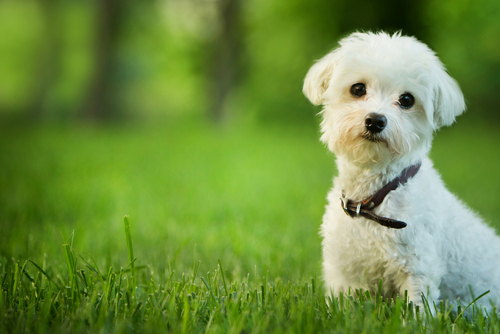 To obtain a Pooch Pass, come to the park office with your dog's vaccination records documenting current inoculations for Rabies, Parvo, Distemper and Bordetella, and complete the application form, sign the waiver, and pick up the dog park brochure. Annual passes are $50 and are based on the calendar year (January-December). This includes a tag for your dog and a gate access device for you. To obtain a pass, go to the park office with your dog's vaccination records (documenting current inoculations for Rabies, Parvo, Distemper and Bordetella), complete the application form, sign the waiver, and pick up the dog park brochure. Yearly passes are based on the calendar year (January-December) and include a tag for your dog as well as a gate access device for you. An annual tag is $50. To obtain a pass, visit the park office with your dog's vaccination records documenting current inoculations for Rabies, Parvo, Distemper and Bordetella, and complete the application form, sign the waiver, and pick up the dog park brochure. Camp Bow Wow offers dog walkers, sitters, daycare, groomers & Spas. They can boarding & kennel your dog in addition to being a general pet store. They offer Premier Doggy Day and Overnight Camp! Doggy Day Camp is a great way for your dog to play, get plenty of exercise and socialize with other dogs while you’re at work or out of the house. Day campers also get one-on-one care from our trained Pet Care Specialists who supervise camp activities. And when your dog’s done with all that activity, he’s more likely to be well rested and relaxed later that evening. Doggie Day Care gives your puppy or senior dog extra attention with Doggie Day Care! Also perfect for Pet Parents who prefer their dog be kept away from other playtime activities. This service even features a special add-on that includes our Pet Care Specialists administering your pet his medications if needed. Located in Carmel, Animal Arts Academy employs 7 groomers (4 of which are certified teachers, including prestigious award winners)! Their dedicated, seasoned professionals were the very first State Accredited School for Pet Grooming in Indiana and have been around for nearly 20 years. Operated out of Greenwood, Angela's Groom Room offers both dog and cat grooming. She boasts 16 years of working with animals and is a graduate of the Animal Arts Academy. She offers free estimates and full service - from teeth brushing and nail grinding to shed less treatments and walk-in toenail trims. Wherever you go to play, get groomed, or housed, make sure you leave your pet in good hands. After all, he/she is an important part of your family!